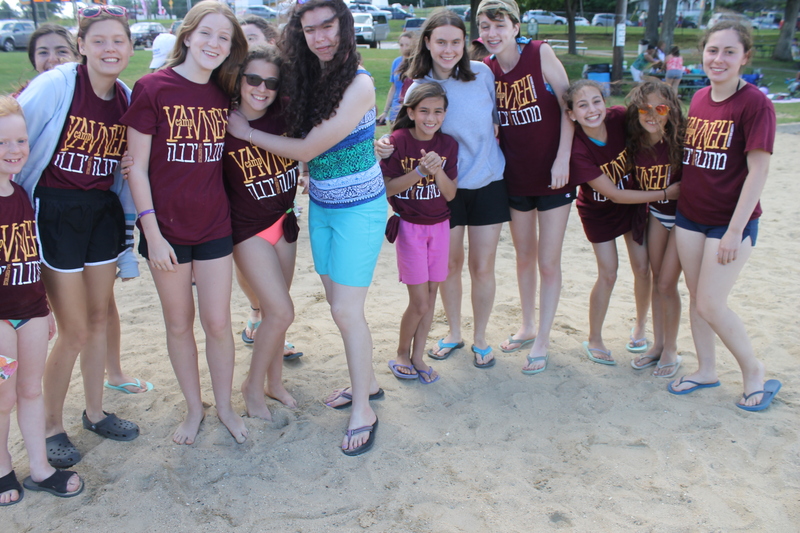 As you might remember from the previous post, Gurim had an achla yom (trip day) at Weirs Beach this past Thursday. Let us elaborate in more detail on that wonderful day. We were accompanied by aydat (unit) Ma’alot (10th Grade), and together all the chanichim (campers) had a great day on beautiful Lake Winnipesaukee. Each Gurim chanich was paired with one from Ma’alot. They swam together, then ate lunch. After the meal, they made sand castles with their buddies and got ice cream. Then, it was time to pack up and head back to camp. Now, Maccabiah is in full swing. Thursday night was the annual lemalah lemata (over-under) competition, and after a break for Shabbat, the madness continued. Shabbat was as restful and as relaxing as ever, and this past we ekend it took on a special tone, as it is the last of the season. 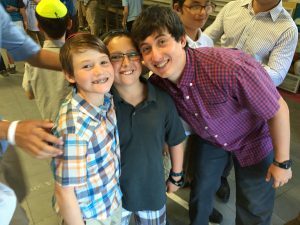 Everyone is looking forward to more moments in the summers to come like the ones experienced on Shabbat at Yavneh this year. Sunday was all about Maccabiah. The chanichim competed in a sports round-robin in the afternoon and participated in the dizzy-izzy relay at night, where they had to complete various tasks while feeling a bit off balanced. Today is the Apache Relay, a camp-wide relay of zany tasks that takes all morning to complete. It is a great event that uses the entire grounds of our beautiful machaneh (camp). Tonight, we will have the quiz-bowl, or Chidon, where selected chanichim show off what they have learned in their kitot (classes) this session. Tomorrow, Maccabiah will come to a close with Lechu Neranenah (Come and let us sing), a night that everyone remembers. Each team, achva (brotherhood/sisterhood) and reut (friendship), will sing two songs, and have a tekes (ceremony) with singing and dancing. They will also reveal a shelet, an artistic representation of each team name and how it connects to Jewish themes. After Maccabiah, the chanichim will pack, eat at a delicious banquet, and then head home. As this is the last blog post of the summer, we’d like to take a moment to thank every one of you for keeping up to date with aydat Gurim, and to say that it was our pleasure and honor to care of the chanichim and give them what we think was an absolutely incredible, unforgettable summer. We hope to see them all back for kayitz 5776 (summer 2016)!